Darjeeling/Siliguri: Trinamul has picked up the issue of land rights, a longstanding demand in the hills, to woo residents ahead of next year's Lok Sabha polls and prevent the BJP from winning the Darjeeling seat for the third time in a row. The Bengal government, in association with the Gorkhaland Territorial Administration (GTA) led by Binay Tamang, has initiated the process to hand over land rights to those living in Kalimpong and the hill tracts of Darjeeling district. The process was initiated by chief minister Mamata Banerjee in Mirik last June, just before the agitation for statehood resumed. "The process suffered a setback because of the agitation. It resumed only recently. Binay Tamang has also started distributing land rights in forest villages," said an official. Around 60 per cent of the hill people, particularly in rural areas, do not have rights to the land they have been living on for years as most of these plots are earmarked as tea estates. The growth in population has shrunk the estates. The absence of land documents leads to several problems for these residents, who cannot apply for housing or other loans by mortgaging the plots. "It's an old issue and was not addressed by the Left government. If Mamata Banerjee resolves it, her party will benefit," said an observer. 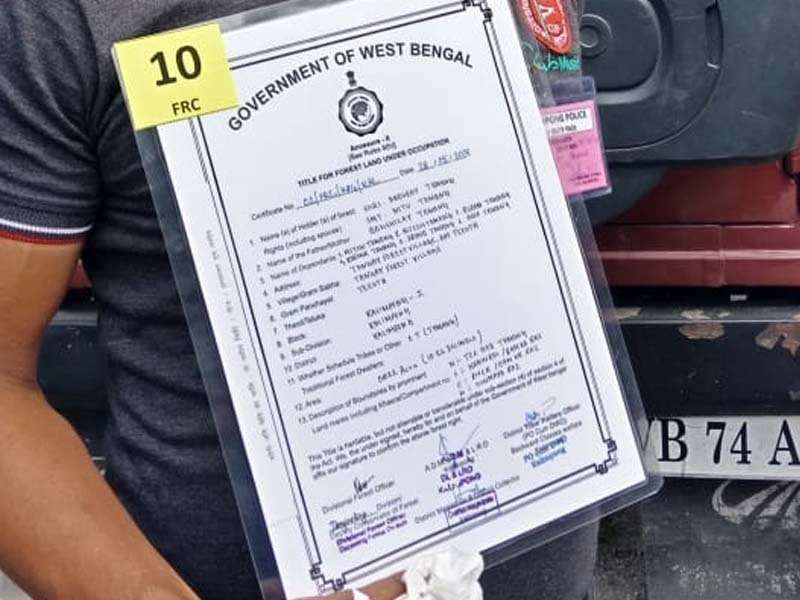 Trinamul has picked up the issue of land rights, a longstanding demand in the hills, to woo residents ahead of next year's Lok Sabha polls and prevent the BJP from winning the Darjeeling seat for the third time in a row.